Little birds in a garden with basket of flowers and watering can. The kit has a large scale black and white chart printed 10 to three centimetres with separate key. 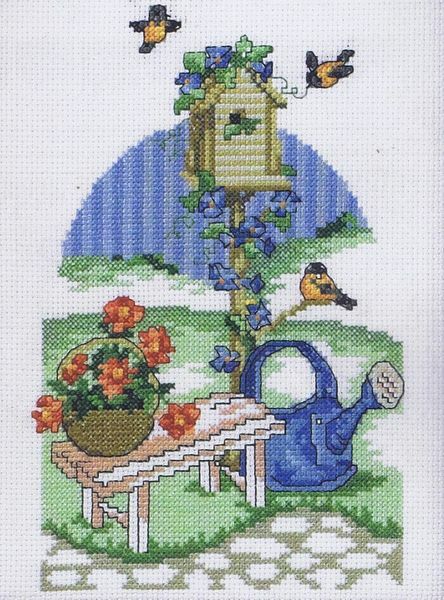 The pattern is worked in whole cross stitch and backstitch using 24 shades of stranded cottons over 75 by 115.